Winkler, world famous for his role as “The Fonz” in the hit television show Happy Days., is now the author of a best-selling series of children’s novels about a boy called Hank Zipzer, the World’s Greatest Underachiever. Winkler based Hank on his own experiences as a boy with dyslexia. The tour kicked off on 30 June and will continue until 10 July. First News and Winkler are visiting 11 schools* during their tour and stopping off at branches of W.H. Smith in Kingston upon Thames, Birmingham and Manchester along the way, where Winkler will be signing copies of his books. 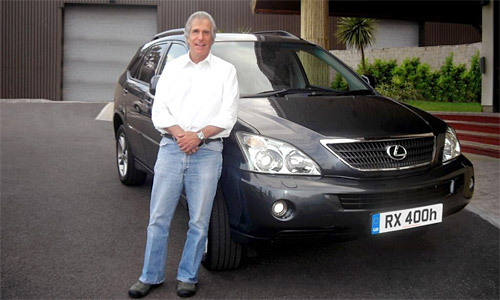 I’ll be honest, I had no idea that Winkler was a successful children’s author, but I do know that this is my second “Celebrity drives hybrid in Britain” story today, and that definitely counts for something.